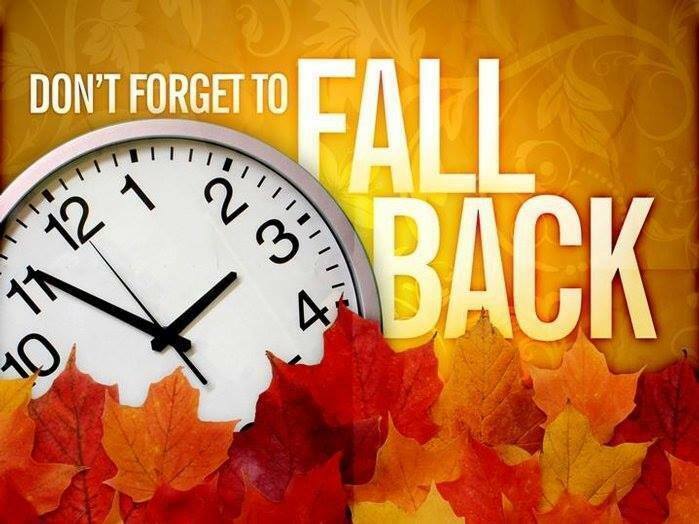 A reminder that everyone “fall back” this weekend by turning their clocks back one hour. You'll need to move your time back one hour on Sunday, Nov. 4 when Daylight Saving Time ends. When the clock strikes 2 a.m., we'll fall back an hour giving everyone an extra hour of sleep. Want to find out more about Daylight Saving Time? Checkout the Farmer’s Almanac.